At DJI Insurance, we are able to provide you the best service and protection options, and that’s because we are trained and guided by the very best. We are proud members of the Motor Carrier Insurance Education Foundation (MCIEF), designed for and dedicated to providing a solid education to insurance professionals. 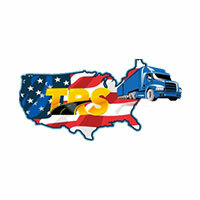 Through this ongoing comprehensive education initiative, the Transportation Risk Specialist (TRS) offers live training events, including basic and advanced motor carrier insurance seminars at convenient locations delivered by recognized industry authority and Foundation board member Tommy Ruke along with other selected specialists in this field. The Foundation also hosts Annual Conference featuring industry experts who discuss a broad range of topics relevant to the TRS curricula as well as industry trends and proposed future regulatory changes. Knowledge saves money! You get the best when you shop with the best, so put down your old insurance provider, and pick up DJI Insurance, and agency that gives you options. A team that delivers.